I'm not a coffee addict, but a coffee shop addict. Haha. 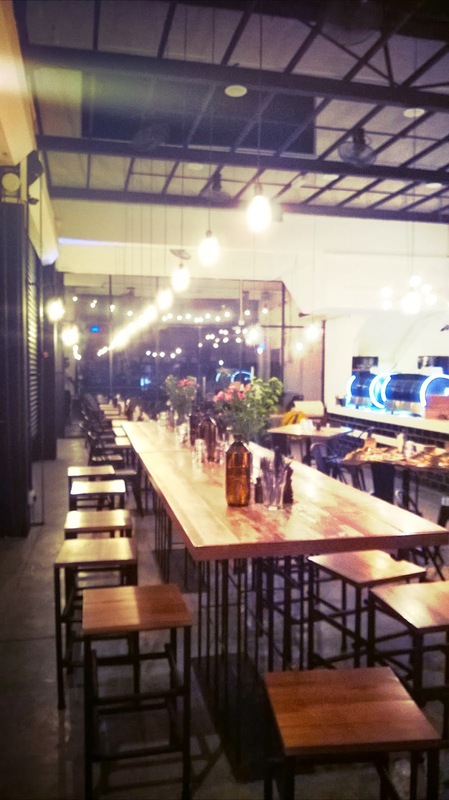 I love to go to coffee shop, because it gets me all relaxed and forget bout the world just a bit. 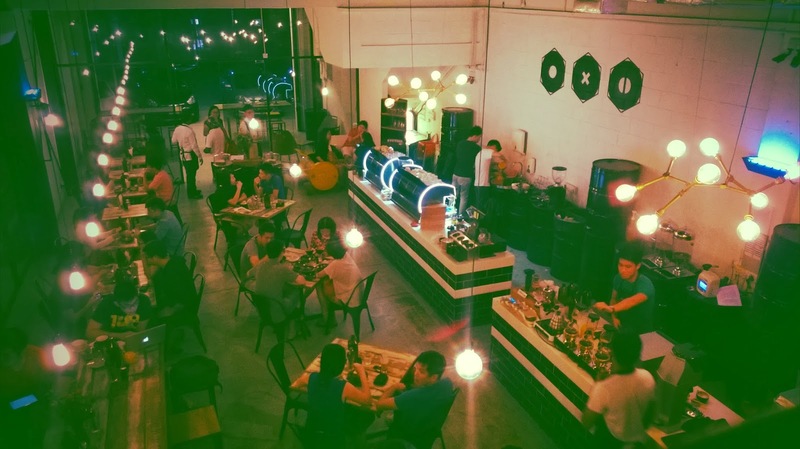 I love looking at the face of people chatting, how they laugh and share happiness with each other, the baristas with a serious looking face of making that perfect cup of coffee, smiling waiters and waitresses to take the order, and everything under one roof. 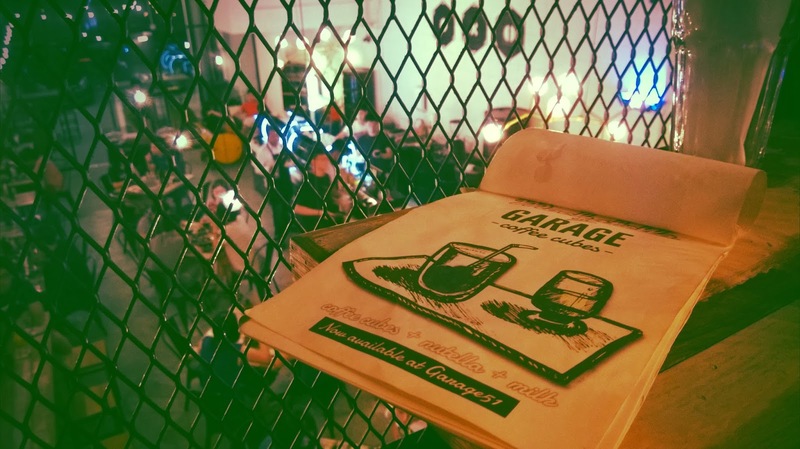 Garage 51 is one of the coffee shop that I wanted to visit most in my list, because of its interior, because of their good reputation, because of I went once and it was closed! Haha. I guess human do want something that they couldn't get. So I went there the 2nd time. It was 10pm, bad time for caffeine I must say. Bout their garage concept interior, it was brilliant! 3 symbols painted on the wall which is the patterns of bolt head, modified oil barrel sofa seating, and we're being seated on top of a modified cargo kitchen. It's a wonderful concept I must say! Modified cargo kitchen, and I love sitting on top of it! 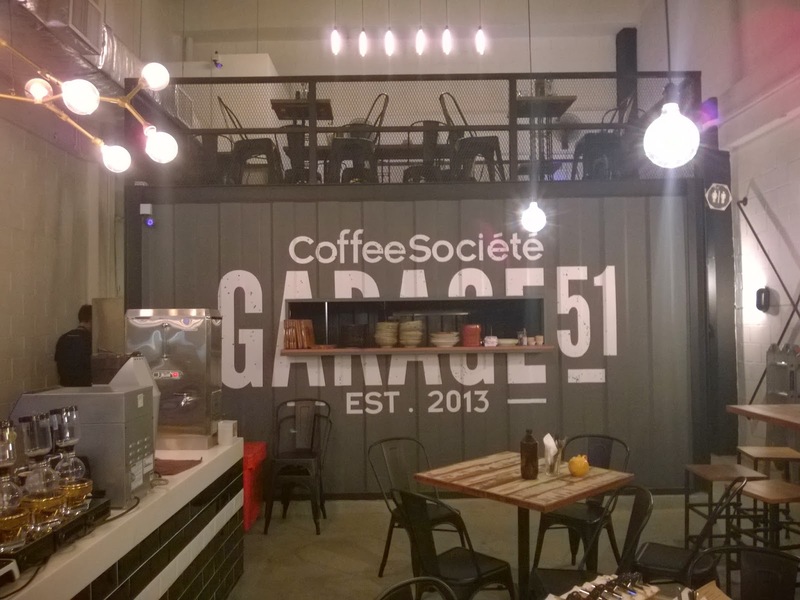 Garage 51 is another concept cafe by Coffee Societe, hence the similarity of the menu and drinks. 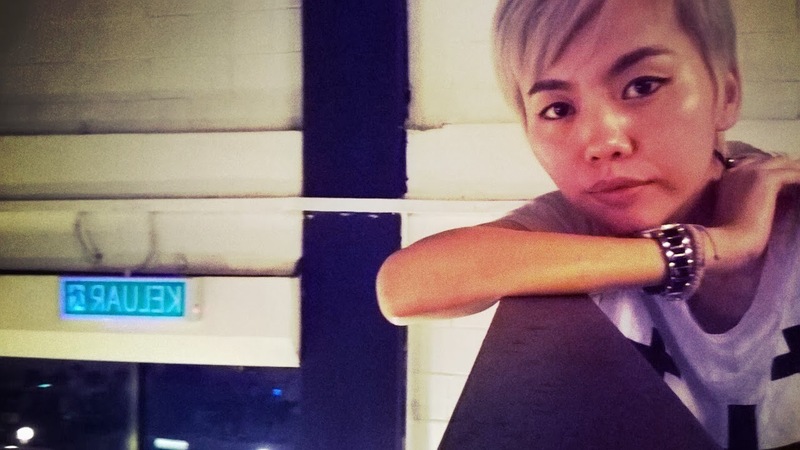 I went to Coffee Societe few times, but not really fond of it like how I were for Garage 51. Maybe I'm superficial, I don't know, because they are serving the same stuff, right? Yeah, therefore I really think I'm just being biased. Haha. Ordered Mocha, Mochatella and a piece of Red Velvet cake. The Red Velvet cake was soooooooo nice! One of the best I've eaten recently, so moist and rich and the cream cheese topping tastes just nice too. 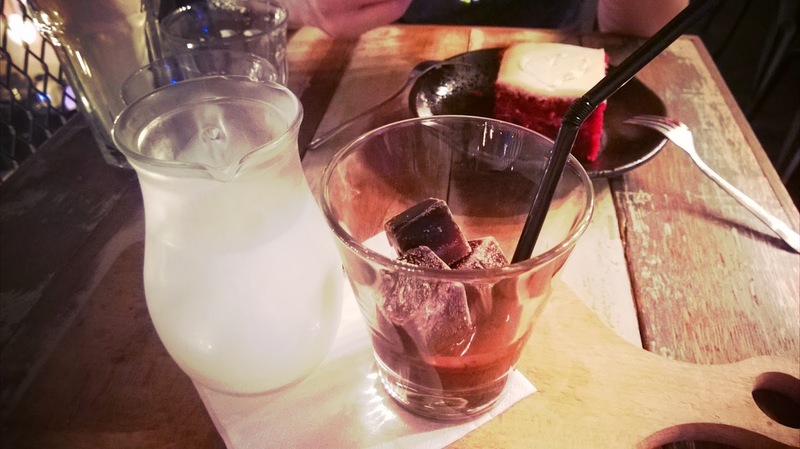 Mochatella is sorta fancy kind of drink: Nutella + Mocha Ice Cubes + Milk. The taste was good, maybe because of the Nutella, so everything with Nutella won't go wrong. lol. Light bulbs, flowers, coffee, essential of life. 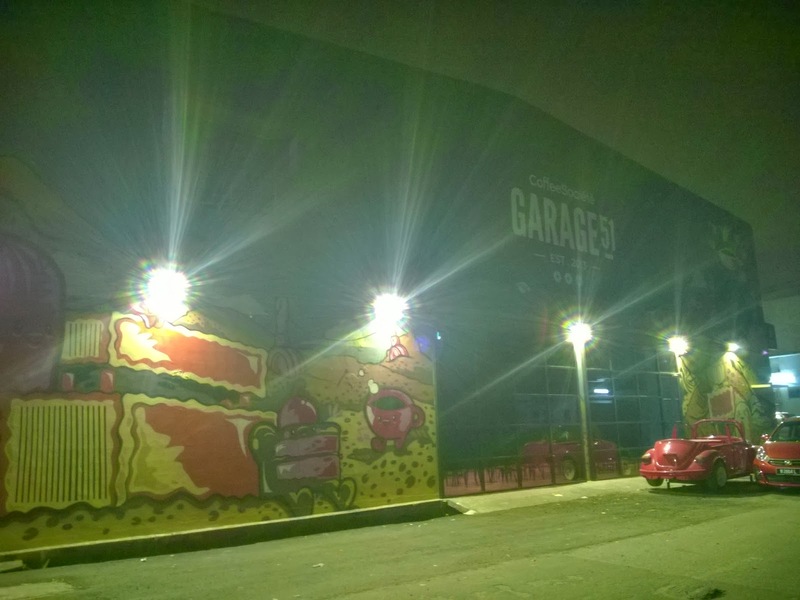 It was basically a good visit experience to Garage 51, friendly waiters, baristas, we stayed till 11pm which is the closing time of it (1030pm last call, kitchen closed at 10pm), so don't come late. 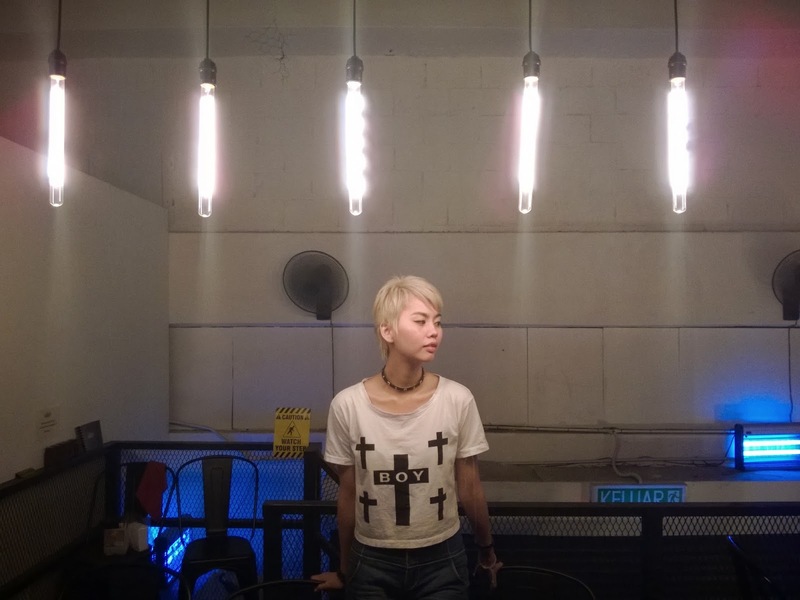 I love the atmosphere, one of the cafe that I surely will visit again. these wall art will be awesome to look at in the morning.